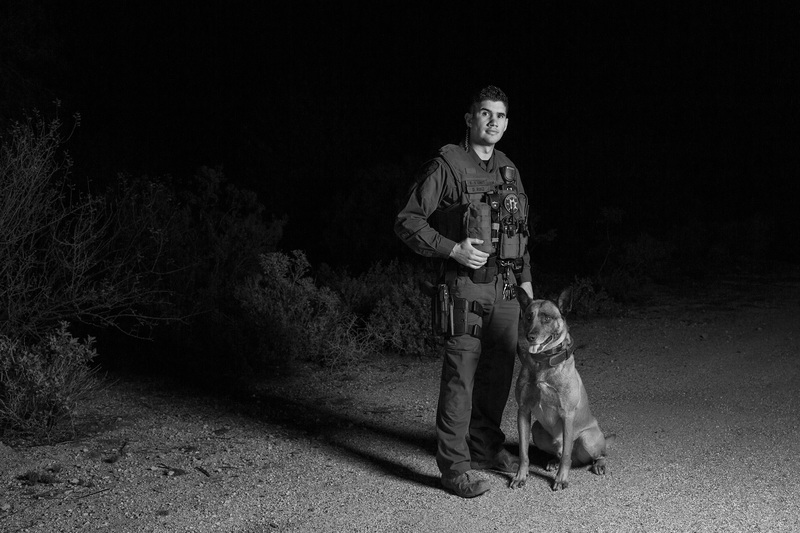 Pima County Sheriff's Department Deputy Daniel Ruiz and his K-9 Partner, Teisto, a Belgian Malinois. At 28 years old, Ruiz and his partner are the youngest K-9 team in the Department. Pima County, Arizona. March, 2017.